2.47 As for you, Arjuna, act on what is necessary and never become attached to the fruit of your actions; in the same manner, never become attached to non-action. Most wise. Never rest on your past laurels and never permit non-action to prevent you from doing further spiritual good. 2.48 Yoga assures equanimity of Mind. 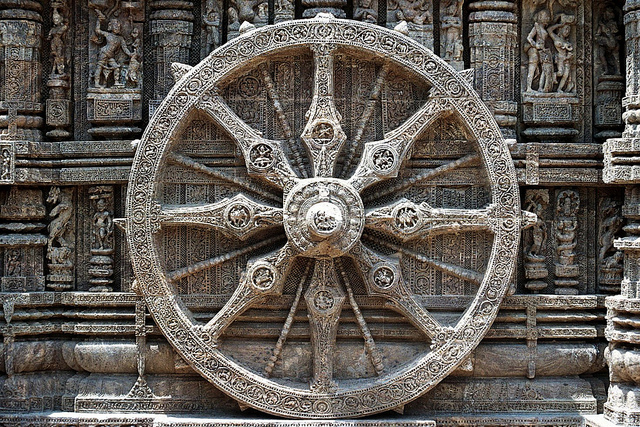 Arjuna, just remain centered in that equanimity. Un-equanimity will only assure a restless mind and spirit—becoming attached to either success or failure. Do your spiritual work with no-strings attached—forget the fringe benefits, too—just Be-Centered in the Unborn and all will unfold as it should. 2.49 Don’t get absorbed in your work; rather be-absorbed in your yogic-discipline and you will have won skillful action. The yogin does not work as if his life depended on it; rather his disciplined spirit works solely for the benefit of the Unborn and no-thing else. 2.50 Discard unevenness of Mind and go-beyond good and evil. Develop your yogic-skills and be the master over all dichotomies. Yoga is the equilibrium point over the abyss of all dualities. 2.51 Enjoying Mind’s equanimity the yogin is free to renounce the fruit of their labors; in so doing one knows release from the awful pangs of karma. Karma releases the one who is not obsessed with past actions. 2.52 Right discernment frees the bewildered mind; one is then empowered to cross the ocean of uncertainty with no more concern over matters of birth or death. Right discernment is the compass of certainty. 2.53 Remaining steady and unperplexed with the passing rhythm of time-bound reality, the Yogin knows the satisfaction of a disciplined spirit. Indeed, No-thing at all bothers the Yogin whose spirit is in complete equipoise with the Unborn. This entry was posted in The Bhagavad Gita and tagged Arjuna, equanimity, Mind, Right Action. Bookmark the permalink. The second chapter distills the entire basic message of the Gita. From the perspective of the non dual (Advaita) the gita is a later teaching after the up an is had and other texts, and it was not until several hundred years after it was written that it became the core text of hindu practices. The yoga we see here and certain doctrines existed prior to the gita (and buddha studied them), but it was the gita that unified their presentation. Remember the vedas did not provide much spiritual explanation, it was up to pundits and vedic scholars to interpret their mystical import and various schools sprang up to do just that. The gita then can be seen as a comprehensive text, suited for the adept who has already learned the foundations and eradicated certain doubts and see clinging. Thefinal stage of spiritual practice, nididhyaasana, or deep contemplative meditation where one abides with brahman, implies padaartha abhaavana. This means complete non cognition of objects. Krishna is providing in this chapter advanced teachings which summarize in a unifying way, various threads of vedic thought into a single “living system”.6 because the consciousness at this stage of yogic practice still may seek a foothold in the skandhas and phenomenal world, krishna is steering arjuna through the paradoxes which confuse and ambush the seeker. This will be repeated and expanded till we get to chapter 15, where the metaphor of the peepul tree clarifies the nature of the phenomenal world which grows downward from brahman. This is important because in non dual hinduism , brahman is not distant and remote, but immediate and one with the atman, obscured by the continuous growth and movement of the phenomenal world. This is why we renounce. I think this helps a little to have context on these summarized yogic teachings in chapter two. I appreciate your analysis. By and large these posts originate in Light of the Unborn and are witnessed through that singular perspective.Your review of the Gita, placing it in light of the Hindu perspective, is most helpful and enlightening and edifying for the reader. Other blogs here, like the Vimalakirti and Platform Sutra do give a more in-depth and multidisciplinary Buddhist treatment–but then that’s the tradition I’m rooted-in. So, please continue the sharing. Well if we swap unborn with brahman, it might avoid any suspicion that these are hindu teachings. We all know how that is very worrisome. Also should be pointed out the various stages in non dual vedanta, starting with first reading and hearing teachings, second working through doubts, and third mystical realization of brahman referred to above wherein self clinging occurs (vis a vis the yoga which krishna teaches arjuna) appears to my limited view to be applicable to the unborn school. Remedy my thinking if this is an incorrect assumption. It needs to be underscored that the Unborn teachings are not vedandic in nature. The adept in Unborn Mind Zen firstly needs to find “the Word” [for those who may have discovered this word I would appreciate it not sharing its revelation—one alone needs to come to its Realization] in the Lankavatara Sutra. 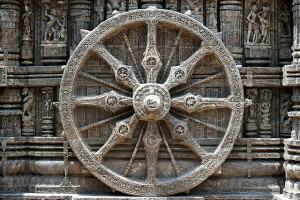 This mystical Word is the compass [the primordial pointer] that empowers the adept to pass through the gateless-gate into the realm of the Self-realization of Noble Wisdom; this initiates the arising of bodhicitta, which of course is the real mystical juice and power behind the Mind and the Absolute essence of Bodhipower [undivided awareness]. So the initiation in Unborn Mind Zen is a mystical-gnosis and is slowly revealed over time; it is in a very Real sense the inner gestation of that bodhi-child, enroute to union with the Tathatic family and is not vedandic in scope; it is unequivocally a higher Self-realization. Even so, at the time of the Buddha, it was relatively common to run across devils, and (with particularly good karma), benevolent devas. Lanka is one area particularly where these hair-raising encounters occurred, often with lamentable results such as the presence of vicious raksasa as related in the Upanishads. I can surely see why the shocking reality of the religio-philosophical Vedic backdrop of Buddha’s dharma would need some covering up! No need to “cover-anything up”. The nagas were one of the first to be converted to the Buddhadharma; then, in marvelous fashion, they became one of its supreme protectors. And in particular fashion here, the Overlord of the Yakshas himself, as discoursed in the first chapter of the Lanka, also came to know the truth that “resides in the inmost self”. Yea, in its earliest formative years many former “vicious” rascals (as you portray them) became the first proponents of the Buddhadharma—nothing shocking there, in fact it is truly an astounding reality that they spiritually came to prosper-in. That we do not often see such beings today is probably a result of Buddha’s awakening, which “shook the earth” and subjugated Mara, (which was represented similarly by the mystical crack visited upon the Temple in the Abrahamic cycles). This rending of the Firmament so to speak seemed to coincide with the sudden enlightenment of various sages and Bodhisattvas who lived concurrently with Gautama or very shortly thereafter. One such, an eight-way bent crippled child, gave the Astavavakra Gita and was not technically speaking Buddhist, yet was among the greatest of sages who sang of the non-dual nature of the absolute atman; and self awareness/recognition of original nature/merging with Brahman; is this Gita not yet another emanation of that one Mind so oft referred to in Zen? Such beings can and do exist mystically even today–they guard the Buddhadharma still in marvelous fashion. Emanation of Mind has occurred and will continue to occur in sundry places; I have and will continue to respect those traditions. In like fashion, and more, will continue to convey and celebrate my own in the unborn. It is truly a wonderful dharma that can convince raksasa kings to give up their wife-stealing ways. But as in the Mahabharata they are generally depicted in a positive light — and in one case the Naga prince Sesha appears before Brahma in the form of an ascetic, and is entrusted with the duty of holding up the world (in which form he is depicted as a serpent). That should read “as in the Mahabharata they (Nagas, in reference to the first devas to convert to the Buddhadharma) are generally depicted in a positive light”. So my point is there are threads of the Lanka at least allegorically/poetically pointing to earlier sources. Either that or the Nagas are just wiser than the Yakshas. The Nagas and other serpent beings have usually been depicted in a positive light within Hindu Mythology. Primordially in many cultures they are personifications of Wisdom. The “earliest sources” truly originate in shamanic circles since beyond the dawn of recorded literature. I respect such traditions, having experienced a rapturous awakening by meditating on a turtle. The ancient teachings speak of animal devas, and I don’t think we should so quickly discard them. If Buddhas can take human form, they can take any form. It’s okay to chuckle at that…I sometimes do too, but it really happened. Loved your story on meditating on that turtle. On tarot, I kind of agree with what Shunryu Suzuki once said about astrology: maybe we really don’t need to know that much about our world. I discovered many years ago that I have a skill for Tarot, but I no longer do this or any kind of divination and have put this aside along with my inquiries into certain forms of African (Caribbean/American) spiritualism. I encountered these practices in my homeleaving travels, which I found edifying, but oriented toward attainments in the mere skandhic realm and therefore not ultimately what is revealed by Buddhism. As for the turtle, perhaps it was the turtle who was meditating upon me. Very prudent decision on your part. While Tarot continues to fascinate me, I too, at one time played around with it a bit and find divination to prove more negative than positive. The link I referenced fascinated me since some of the cards depict similar (though not precise) images that can be found in the Sacred Tantra. I suppose some people would be very fearful of the various forms of Yoruba mysticism but the truly frightening thing in my opinion are rational-materialist Buddhists and their superstitious and really heretical belief in a separate phenomenal reality while running in terror from the Nirvanic atman. You were both prudent to abandon witchcraft! Dabbling in Tarot is a far cry from practicing witchcraft. True, there are some tarot decks that witches utilize, like the Crowley Deck, but Tarot has its roots in ancient Hermeticism and is not Dravidian in nature. Just because people of the craft- craft their own tools, such as borrowing from the arcanum of the tarot, doesn’t place it exclusively in their domain. Divination is not “witchcraft”. I’ll let Vajragoni speak for himself, but for me, aptitude with tarot is a natural consequence of enhanced intuition, not a form of manipulation. Even within what you might call “vodou” (i.e. West African spiritism, which I still respect) has both left and right handed arts. My experience with it came to me in a dream, which I later sought out answers for with people who practice and found it to be authentic. The consideration for those who practice these arts tends to be does this action counter the free will of others (if so, it’s left handed). Everyone has “psychic” faculties of one form or another — I think the only issue is what our emphasis is spiritually, action within the worldly, material realm or do we seek a higher realm of action (e.g. the “unborn”). That is why I put aside such things. Various spiritual entities do exist but in Buddhism they would likely be considered “devas”, and they themselves are limited in their range of action and cognizance. Certain masters have actually had encounters with such beings. If you see the animal realm and how it co-exists with humanity, is this scary or evil? A parakeet can learn 200 human words and know their meanings (they can say “dog” when they see a dog). Is this witchcraft on the part of parakeets, or merely a form of awareness due to proximity to the human realm? Likewise, people over time develop awareness of different planes of being, due to psychic or spiritual proxmity. There are many forms of being in this universe. We are not the “highest” form of life, as referred to in various Buddhist sutras. What we think of as “real” is merely a form of mind. There are other forms of knowing besides logic, good friend. Now that I’ve wised up, it’s only buddhism for me.